Kitchen worktops can be expensive. But a kitchen worktop of any kind is often dictated in terms of price by the material used. Natural stone kitchen worktops can actually add more value to a property than they cost. Their solidity and strength are not an issue. They also carry a far greater reputation than alternatives that are manmade – and even worktops that appear to look like stone, such as artificial “engineered” stone. But why the expense compared to PVC, tiled, glass or other kinds of surface? 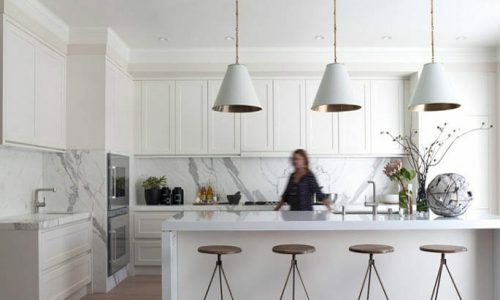 The first issue when it comes to the expense of a kitchen worktop made from pure stone, such as marble or granite or quartz or slate, is the fact that a pure slab of rock has to be hewn into shape. Finding the perfect slab – in terms of colour and shape – that can then be chipped at and polished so that it will look incredible in a kitchen environment is more difficult than the simpler manufacturing techniques that are used to create other surfaces. The use of other surfaces in terms of their simplicity does not necessarily mean that the technology behind them is simpler. In fact, the creation of plastics is clearly a science heavy process. Plastics have themselves really only come into their own in the last century. Other materials and compounds like acrylics are also very new compared to stone, which has been around for billions of years. But the ability to mass produce such plastic surfaces is the issue. The right sized stone – without any flaws such as weakened integrity or internal cracks – is more difficult to source. Furthermore, advances in technology can actually hinder the locating of the right slab of stone that can become part of a kitchen in the form of a kitchen worktop. 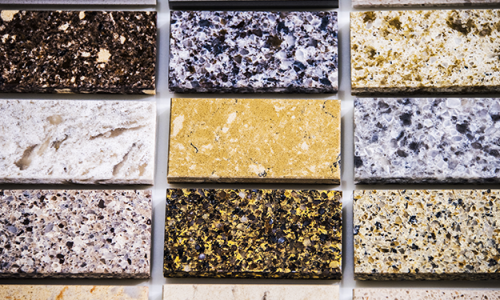 When you consider for example that integrity tests of various kinds can be carried out on stone surfaces today that were not available four decades ago, then the possibility that granite kitchen worktops could in fact be rejected during the quality assessment and quality control process increases. This means that there are fewer slabs that are regarded as high enough in terms of quality. When it comes to pure stone in your kitchen worktop, you are not necessarily paying for the material as much as paying for the workmanship. With more artificial worktops that are mass produced in factories, perhaps the opposite is true. Some costly materials do have the aesthetic factor. Granite and more often marble has an eye catching quality that other surfaces won’t have. You won’t be trading any of the utilitarian function of your kitchen worktop for this aesthetic appeal. The quality of the material is of paramountcy: You don’t want a poor looking slab of stone as your kitchen worktop. This drives up the cost. Furthermore, while you may consider doing some work yourself when it comes to kitchen installations, marble or granite kitchen worktops often require a professional installation. But all in all, when compared to other kinds of surface such as laminates, you won’t beat a great stone kitchen worktop.